My 'Six on Saturday'..... bearing in mind the garden is recovering from a difficult summer and there's not a lot to photograph. Many thanks to the The propagator for hosting this meme. 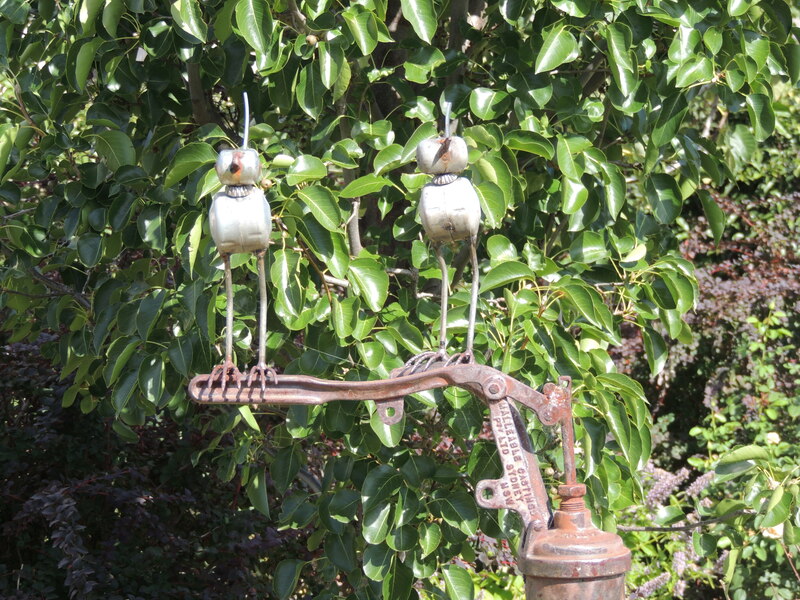 Why not pop over to his blog to see more of Six on Saturday from gardeners all over the world. 1. A much magnified shot of a tiny flower on my new crepe myrtle 'Diamonds in the Dark'. This little tree was only planted last Spring. It flowered briefly in December, and now it's having another go. It will grow to about 3 metres and and I think it will be an interesting addition to the garden with its unusual combination of colours. 2. The borders are filling up. 3. 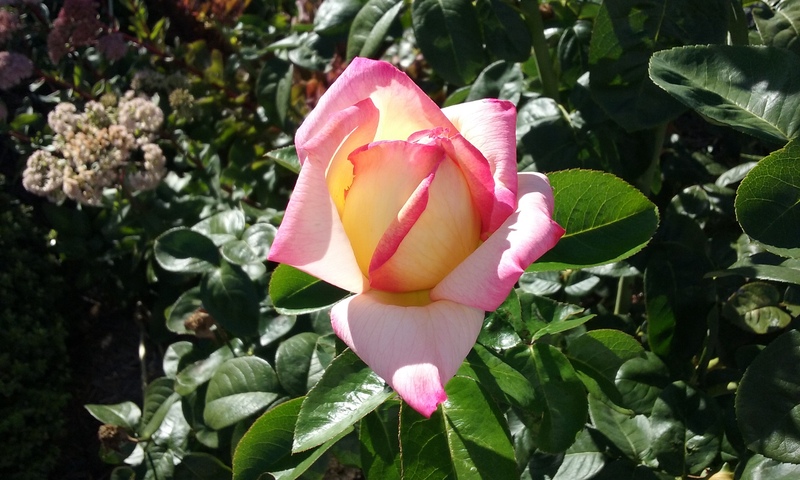 One perfect 'Madame A Meilland' bud. 4. 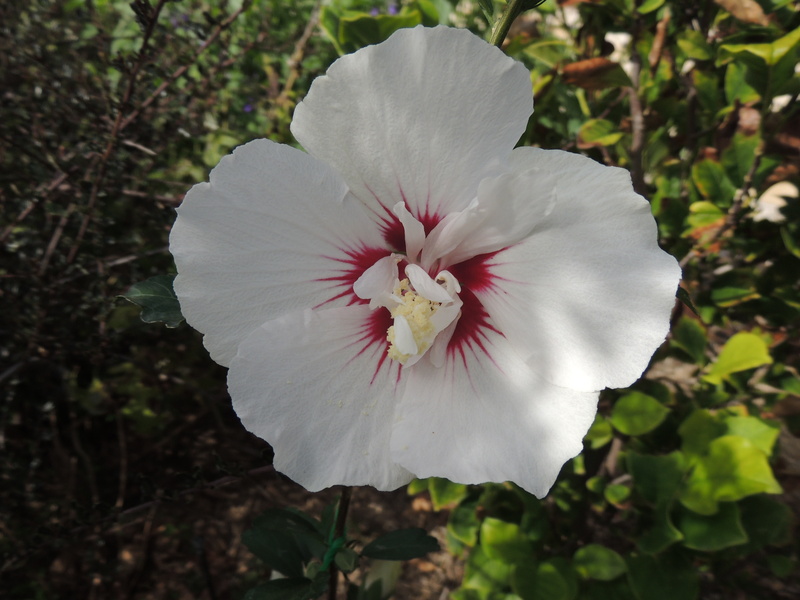 The flower of a new Hibiscus Syriacus. 5. keeping a watchful eye on the garden. 6. 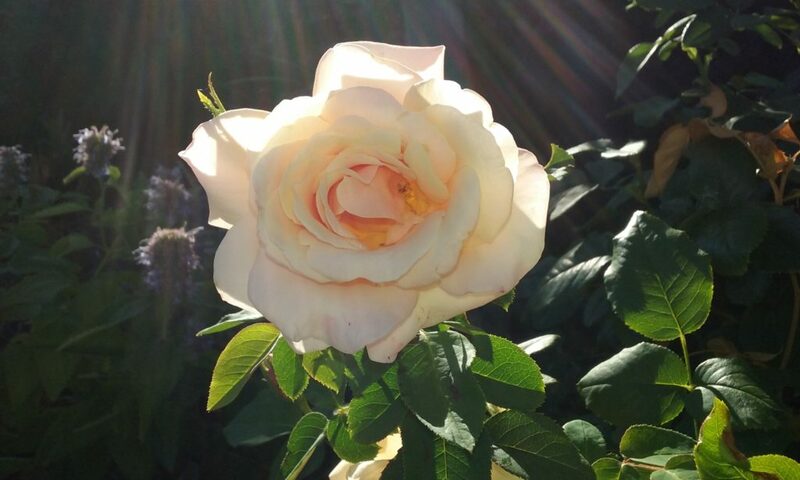 ‘Spirit of Peace’ was released by Meilland International of France in 1995, to celebrate the 50th Anniversary of the release of the famous Peace rose and mark the anniversary of the end of WWII. I love your crepe myrtle and hibiscus! Is that hemerocallis in the bottom right of the first photo? Yes Ali, it is. I’ve tried to identify it and I think it’s Sabine Baur. The roses are gorgeous but I really love that crepe myrtle. Oh, for some sun . . . I love that hibiscus. It’s a plant I’ve never grown, but always admired. Your photo has reminded me to do some research and see if they would survive here! Thanks Jane. Sounds like I should give hibiscus a try. You’re making me miss the weather in Oz. We lived in Shellharbour for 2 years and came back to the UK last March. That Hibiscus is lovely. We do have wonderful weather (especially in Shell Harbour!) most of the time, but where I am, in the Central Tablelands we’re a bit short of rain. Thanks Jane. 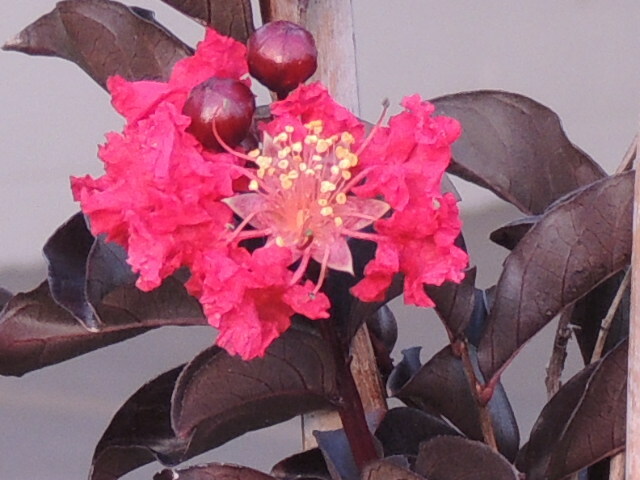 Do get one of the crepe myrtles, that colour is divine, and they do so well in our area. Your roses are just perfect. I am about to plant some bare root tomorrow so it is good to be reminded how beautiful they will look in the summer. Thank you. The roses are just beginning to come into their autumn flush. There’s a lot in your garden (for a dry summer), but I daresay it’s the drought tolerant flowers/plants which you’ve photographed. 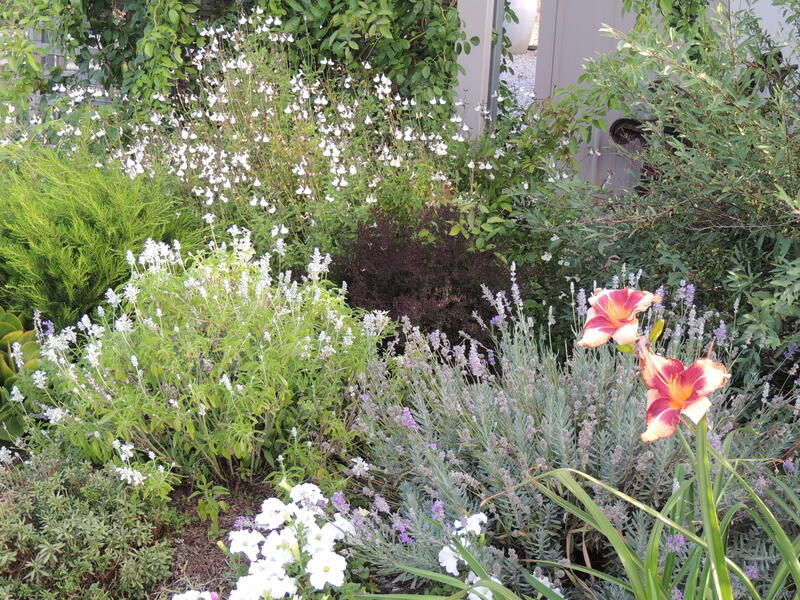 I’ve mostly tried to plant things that are drought tolerant, but I get a bit carried away sometimes and then make more work for myself with watering . Beautiful line ups in the garden Jane! Thank you Makiko. I don’t know if there will be much that’s different! I can relate to your getting “carried away”. Our garden was populated with drought proof plants by the previous owners. I just couldn’t resist roses and so on . . . Luckily, we’ve had a lot of rain this winter (Victoria, BC, Canada) and the reservoir is 99% full. Nevertheless, we will have watering restrictions again this summer if it’s anything like last summer.